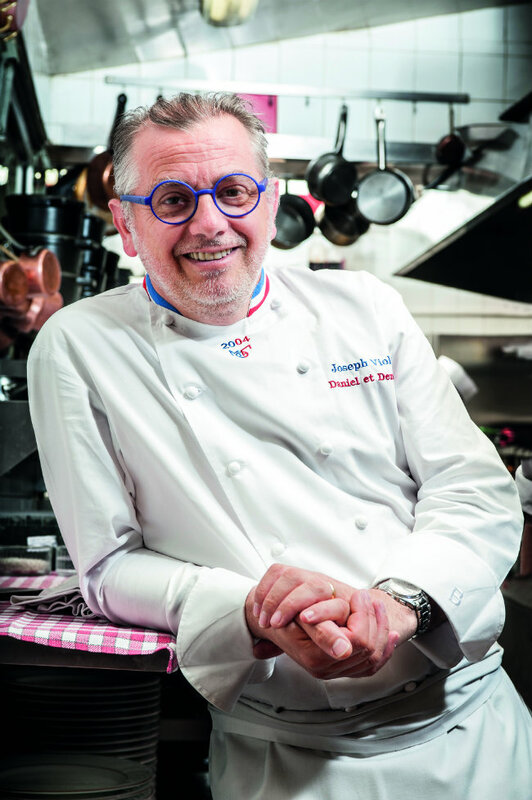 Since he took over one of the most famous old bouchons in Créqui in 2004, chef Joseph Viola has opened branches of the original restaurant in two of Lyon’s other neighbourhoods. Even more importantly, Viola has found a way to make the idiom of the bouchon, perhaps Lyon’s greatest indigenous gastronomic institution, appeal to an ever larger number of people. Bouchons are best known, of course, for their signature offal dishes and menus that delight carnivores. Yet though Viola’s cartes do feature such classics as calf’s head in ravigote sauce, roasted veal kidneys, and andouillette (chitterling sausage), they also include fish dishes like trout with a grenobloise garnish (chopped lemon, capers and croutons) and l’omelette du curé (filled with crayfish tails). In other words, Viola’s bouchon menus respect the traditions of this genre of restaurants while at the same time offering lighter, modern dishes created according to the seasonal locavore creed of this kitchen. This is what I discovered when I had enough time between two trains at Lyon’s Part-Dieu station to have a quick but memorably delicious lunch at Daniel et Denise Créqui (the other two addresses are in the Croix-Rousse district, the historic silk-weavers’ neighbourhood, and the famously gourmand rue Saint-Jean in the Presqu’île). As part of the €21 lunch menu, I tucked into a fluffy quenelle de brochet (perch-pike dumpling) in a creamy terracotta-coloured crayfish sauce, which I chose to have served with an excellent gratin de macaronis (the alternative choice would have been buttered potatoes). I followed this with cervelle de canut (fresh cheese) with olive oil, sea salt, shallots and herbs – one of my favourite Lyonnais preparations (other choices were vanilla-flavoured crème brûlée and île flottante). 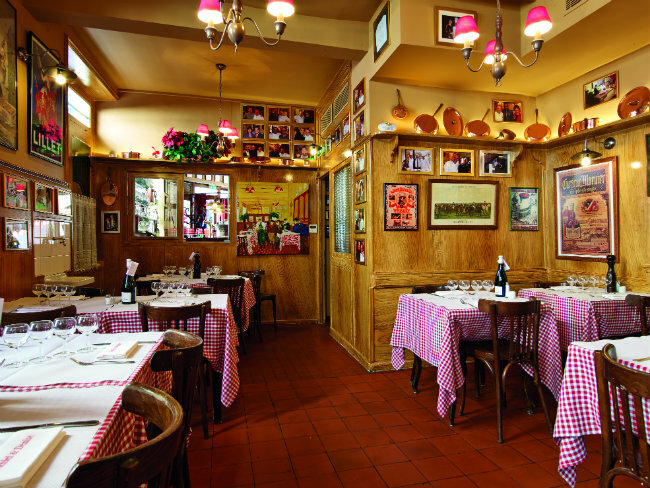 The quality of the cooking here is excellent, the hospitality is charming, and they respect the visual and socials codes of the bouchon – red checked tablecloths and lots of banter – without making a pastiche of them. Next time round, I’ll look forward to pâté en croûte with duck foie gras and veal sweetbreads, the cod roasted in a crust of herbs and the Bresse chicken with morel mushrooms.